What happens when AN art education is re-imagined in and through informal learning environments? As a public scholar, my work extends beyond the traditional classroom and invites the public into conversation about social issues of equity and inclusion. Most recently, as an invited speaker for Nashville’s Belcourt Theater’s Science on Screen film series, I engaged with 175 audience members (to include members of a high school film club) in dialogue examining Jordan Peele’s Oscar Award-winning film GET OUT. Key moments and highlighting the contribution of arts-based social science research in recasting the particulars of racism in American society. This course provides an investigation that focuses on the relevance of aesthetics and art criticism within contemporary art education. Explorations of contemporary theories relevant to art education, as well as contemporary artists and issues in art and education are made salient. Students examine current trends in culture, education (practice and theory) as well as artists of the past and present who express contemporary personal, social and global concerns in their work. Discussions are focused on how course content can influence artists, educators and classroom curriculum and instruction. A well-worded question is the quickest way to connect with others. 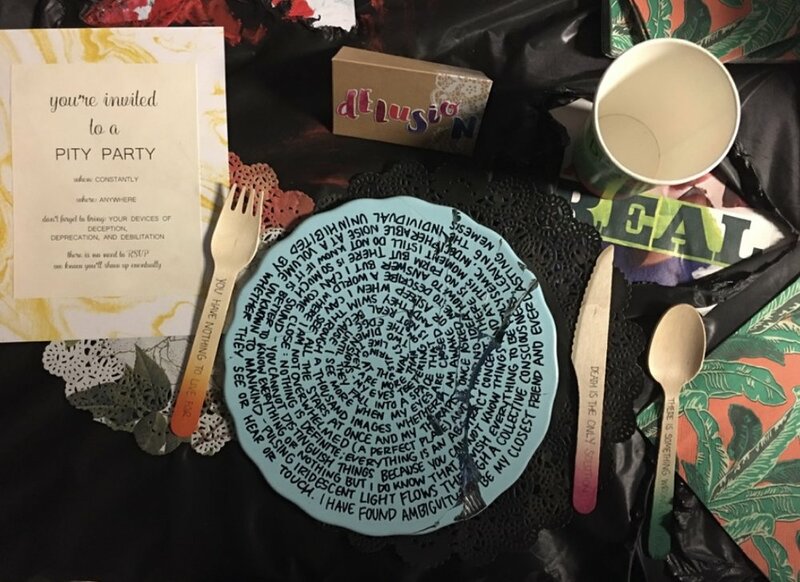 This project asks students to spark a deeper conversation about a contemporary social issue, using art in general, and specifically the “table setting” as an opening and conversation starter to make public, those issues that are often silenced. When one is provided a seat at the table, it presents an opportunity to be heard; to make a difference. For this studio assignment, students draw inspiration from the Judy Chicago's Dinner Party and a myriad of critical contemporary issues facing the world, to create a dinner setting that represents a social issue. This conversations is intended to disrupt the polite conversations often shared in our day-to-day on-goings and are intended to widen the circle of concern for transformative aesthetic and pedagogical practice.. Using women's stories from blogposts as my data, my student, Aleeana (2017) discovered that there is still much debate about women's choice to stay at home or work to raise a family or to pursue work outside of the home. Aiming to unpack the negative stigmatization around the topic of mental illness, Mary (2017) hosted a "pity party" to address the felt-experience of persons coping with the disease. What role does humor play in teaching and learning in an aesthetic education? noun. the quality of being amusing or comic, especially as expressed in literature or speech. and cool the earth, the air and you." When laughter is shared, it binds people together and increases intimacy. It has been noted that laughter gives the immune system a boost, diminishes pain, and protects you from the damaging effects of stress. To these ends, I share with you an offering of encouragement in the wake of what may seem insurmountable challenges at all levels of contemporary education. A recent Gallup Poll sampling of 900,00 students in grades 5-12 concluded that student engagement in public school is dropping; a new report on the state of America’s K-12 infrastructure reveals an underinvestment in public school facilities. When applied to teacher preparation, these statistics pose a challenge for pre-service education, which continues to face its own unique set of challenges. Green’s (1995) understanding of educational currency is just as salient now as it was 20 years ago. She notes: “Standards, assessment, outcomes and achievement: these concepts are the currency of educational discussion today” (p. 9). Kozol (1991) too, seemed to forecast the on-going deterioration of opportunity for those whose cultural/social capital does not match that of the dominant culture in education. Underneath (or “above it all”) exists a set of influencers, game-changers and transformers--mentors--who remind us that through it all, we might launch our social imagination, or, “the capacity to invent visions of what should be and what might be in our deficient society” (Greene, 1995, p. 5). What role then, does humor play in this “educational” scene? Evan-Palmer (2010) suggests that there is a potency in humor; that there is a correlation/relationship between perceived use of pedagogical humor and instructional efficacy. In other words, use of humor instructional strategiesdeeply impacts the classroom environment and learning outcomes; humor affords resiliency for stressful situations (think: students AND teachers). I agree, when distinctly applied, use of humor is a game-changer. Use of pedagogical humor has helped to launch important and critical conversations with and among the high school students I taught years ago (above); it has further propelled me forward in provoking my pre-service teachers toward critical conversations about the economic and social issues that plague education, and thus humanity. Humor supports my pedagogical eagerness to appear and reappear--to show UP when I am (and my students are) down. It also finds itself appearing in the midst of courageous conversations with research colleagues and friends (below). Research suggests that our use of humor evolved as a coping mechanism, necessary for survival (Martin, 2007). I agree and suggest that social humor activates teaching and learning, such that it builds a bridge between teacher and student and peer to peer. 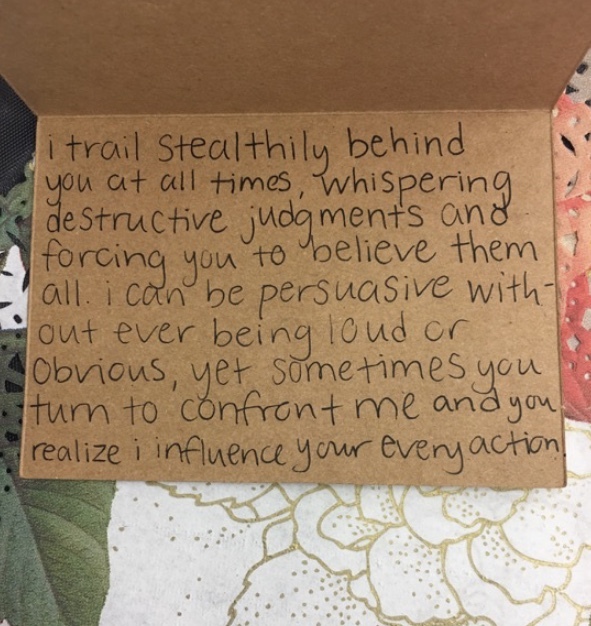 A student once shared with me that she had never witnessed any of her professors exhibit vulnerability in being able to laugh at themselves. I couldn’t help thinking: what a shame. Students (humans) should be offered the opportunity to release the idea of perfection, to relax into discomfort and be shown that “failure” provides new openings. That said, humor might provide the breakthroughs necessary for any environment that inspires instruction and learning. I have often been told that I hum unconsciously; that I am sometimes child-like and silly. I find it difficult to be angry, frustrated or sad when humming (try it!). After 20 years, I continue the task of teaching. Despite the daily reminders of assessment and standardization, budget cuts and worn-down crowded classrooms, I teach, poke, prod and press forward. I move back and forth between comprehending policy domains while also attuning to the the ease and unease of the realities of particular students, who live in particular environments. I leave you with this: the expanse of mentoring cannot be neatly defined, and as such, questions for how we might take up mentorship in a contemporary (art) educational landscape should persist. Using conceptions of compassion, identity, paradox, transformation, story, and humor are but a few of the possibilities for the creation of this inquiry. My final musing: What are the limits/possibilities of mentorship? Evans-Palmer, T. (2010). The potency of humor and instructional self-efficacy on art teacher stress. Studies in Art Education. 52(1), 69-83. Greene, M. (1995) Releasing the imagination. San francisco, CA: Jossey-Bass. Kozol, J. (1991). Savage inequalities. New York: Crown. Martin, R. (2007). The psychology of humor: An integrative approach. Burlington, MA: Elsevier Academic Press.